Google I/O is Google's annual developer conference, where they share the latest products and technologies. 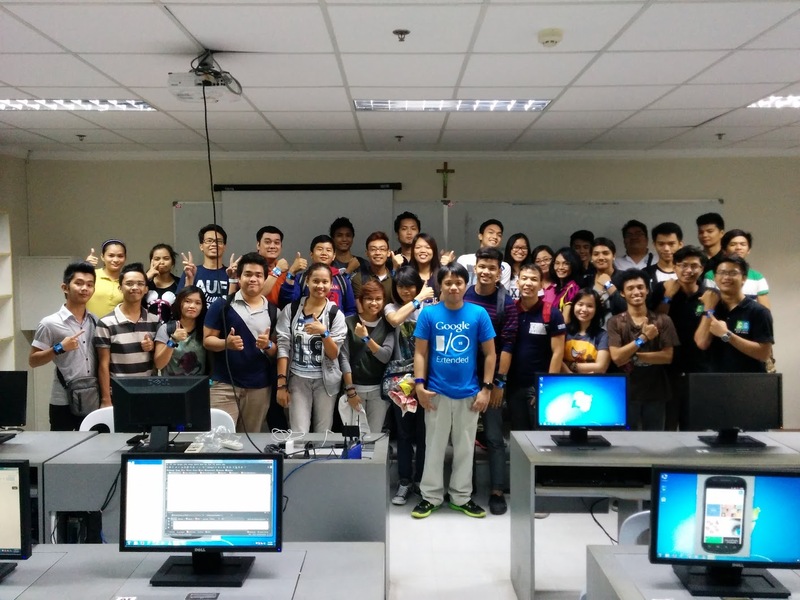 This year, GDG Philippines brought the Google I/O experience to Manila and different provinces. The Google I/O 2015 Extended Roadshow is a series of workshops and talks centered around the technologies announced during Google I/O 2015. It was held in Pampanga (July 4), Manila (July 11), Batangas (July 18), Albay (July 25), Camarines Sur (July 26), and Cavite (August 1). In each Extended events, we had talks in the morning and hands-on workshops in the afternoon. Morning plenary talks include the keynote, Google Cardboard and Google Translate Community. Workshops include Design Thinking and Rapid Prototyping, Web, and Android. In all six legs, I talked about the basics of Android apps development and facilitated hands-on sessions.